Build DNN Forms and Apps Fast! XMod Pro is a rapid development interface that enables developers to build virtually any type of custom solution for DNN (DotNetNuke) and Evoq, with no programming experience. Pack-in the XMod Pro knowledge with an ever growing set of tutorials, videos, and articles as well as free module kits to jump-start your next project. Join our vibrant and friendly community of users. Get your questions answered by real people, using XMod Pro "in the trenches". You can even submit ideas for future versions! Whether it's DNN or XMod Pro consulting, one-on-one training, custom site design, or website development and hosting, we've got you covered. 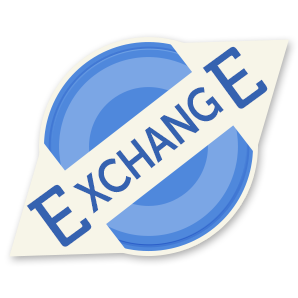 We can even write custom extensions to meet your specific needs. 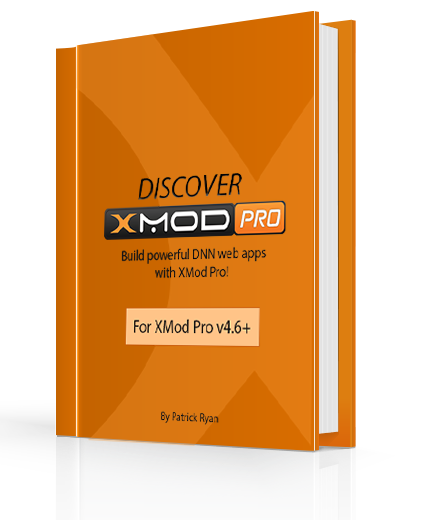 Hot on the heels of our completely revamped documentation, we're proud to announce the release of XMod Pro 4.8 for DNN! It includes some of your most requested features like being able to integrate external database data into your DNN search and multiple email attachments. We've also fixed a few issues. Read more about it by clicking the button below. Created by Patrick Ryan, the author of Discover XMod Pro, Form.X is a powerful control that allows you to embed forms within XMod Pro templates. This allows you to add and edit data without a page refresh, create contact forms and more! Watch the short video clips below for some examples, and also take a look at the docs to understand the current supported features! We're excited to let you know about the book written by community member and certified XMod Pro trainer Patrick Ryan. Whether you're a web developer, graphic designer or even a database administrator, having the confidence to develop applications efficiently is a priceless reward. Patrick will teach you how to build custom module solutions with DNN and XMod Pro by walking you through a complete application from start to finish! The XMod Pro Exchange is a brand new website feature that will make building solutions with XMod Pro even faster and easier. The XMod Pro Community has come together to provide this excellent Exchange of solutions, snippets, and how-to's to help you build solutions with XMod Pro more quickly than ever before. Everyone can contribute. This means YOU! Help out a fellow XModder and make a name for yourself in the process. DNNDev.com and its parent company KnowBetter Creative, were founded by Kelly Ford, a long-time DNN developer who has been building solutions on the platform since version 1. Recently, he contributed "Prompt" to the DNN Core project -- an extensible, easy-to-use command line interface. It has been called the most significant community contribution to the platform in recent memory and is sparking additional growth and creativity in the ecosystem. Kelly is also the Project Lead for the DNN Documentation project - an effort to provide comprehensive and usable documentation for developers, designers, and users of the DNN Platform.